What if you could walk into a restaurant and leave with your food, all in under five minutes? 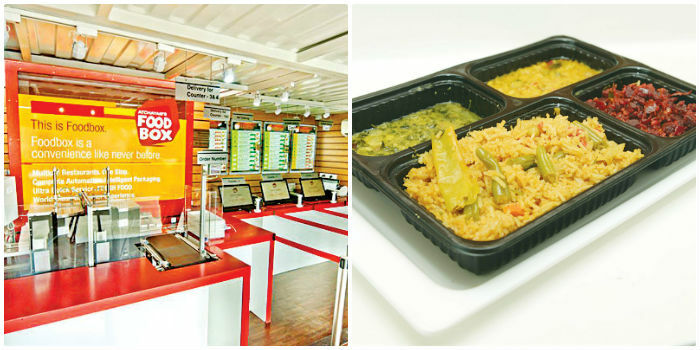 Thata��s precisely what the month-old Atchayam Food Box in Koyambedu allows you to do. At the takeaway outlet near the private bus stand (there for the convenience of hungry travellers), you simply walk up to the screen that lists the options (meal combos) available, swipe your credit or debit card, and watch as the automated system delivers your lunch on a conveyor belt a�� all in under 90 seconds. a�?We have partnered with five restaurants at the moment a�� Adyar Ananda Bhavan, Aasife Biryani, Kaaraikudi, Amaravathi and Punjabi Nation,a�? says the man behind the project, Satish Chamyvelumani. Each of these restaurants has worked with Atchayama��s nutritionist, Prarthana Mehra, to come up with combos that constitute a complete meal. a�?We provide the restaurants with 100 per cent virgin polypropylene, food-grade packaging, and they do the needful,a�? adds Chamyvelumani, who along with his partners Ramesh Narayanan and Rajshekaran Mathuram, started Food Box in December 2013. The food is picked up and fed into their automated system that is climate controlled and stores the food till an order is placed. This concept not only saves a lot of time for the customer, but also reduces the number of hands handling your food. Their automated system also heats the food to serving temperature, so you can consume it immediately. We express concerns about the quality of the food, considering that it is packed much before the actual order is placed, and Chamyvelumani clarifies. a�?Our automated system has been tested and has been proven to keep the food fresh for up to eight hours. But as a rule, we have ensured that the system does not dispense any food that is more than six hours old a�� counting from the point of packing,a�? says the business graduate, who was previously working in the US and returned to India to start Food Box. The technology, which was developed by a company in his hometown, Coimbatore, took about Rs 50 lakhs to set up initially (their first was a test project in DLF), and Chamyvelumani intends to take it national. a�?Wea��re looking at a couple more outlets in Chennai in the next six months, after which wea��ll be expanding to other cities,a�? he says. As for their long term goal, a�?ita��s a long way away, but wea��re working towards coming up with a system capable of meal assembly itself,a�? he concludes.